Imo camping don't happen because of the map size but because of the bad map design. DICE is a master of designing larger maps that reward camping and not movement. MG's are ridiculousy accurate, seen many rambo's running around, doing insta kills from range, from the hip but once they put that thing down on a bipod, in a bush or on a rock, it becomes a certified kill, as long as they see you first, it's guaranteed, so players will turn to doing it since virtually all 1 on 1 encounters are won by who sees who first. I think the problem lies with weapons accuracy stats, not just the MG's, but all of them are way off and it's wrecking the game balance. Said it in other camper threads but this game has some of the worst camping I've ever seen in an FPS, I dont see how being led in a bush in the middle of nowhere waiting to shoot someone in the back is fun but hey, thats the way it goes. It's campy. I find myself falling back to a campy playstyle - attacking playstyles result in dying a lot! I don't enjoy dying every footstep. My style of play is normally all out aggressive attack, it was in the previous BF games. Of course. BFV is really really different from CoD. CoD is all about Run 'n Gun. And BFV is all about camping. I myself camp a lot. And I get much better K/D ratio so easily compared to run and gun play style. 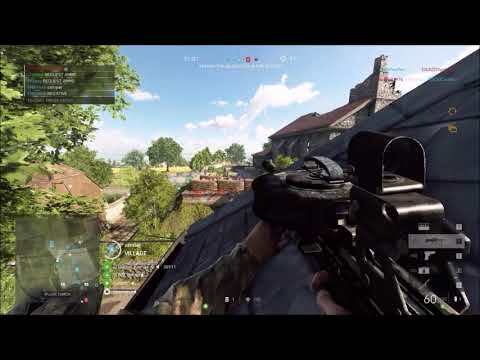 I tried both, and I used to like rushing in BF3, BF4, and BF1, but I chose to camp in BFV. And I do support DICE's decision to promote camping. Let's camp altogether. Right, that problem is due to an issue called "fast TTK", or "Time to Kill". Meaning that, the amount of bullets it take to kill someone, is minimal, the damage model very high, and in turn, what causes these mass camping issues. Three things they can do. 1) Nerf the TTK to a much more reasonable amount. 2) Come out with 32 player Conquest, GO and Breakthru servers, in so the less players, the more open space and room to maneuver, w/o dying constantly given the mass amount of players. 3) Come out with more Panzerstorm sized maps, to accomodate the 64 players. Very easy matter to handle. They just have to do it, and quick before everyone throws up their hands in frustration. Maybe Rush will be 32 players. I also hope they offer an IO Rush option. Well that just lies within the game's mechanic. When you have weapons that rely on being prone and also have the lowest TTK while **** so you will encounter exactly that: People lying prone in the most obnoxious spots. Further, all weapons perform way better when crouched or prone. Further enhancing features are misleading or not playing audio and hit feedback as well as poor visibility, so it is hard to counter. I agree on the "seeing people" part. Some combat zones are big and open. You can’t eliminate the open areas without doing something stupid like make open fields (e.g. Arras and Panzerstorm) have loads of fissures and abandoned cars dot the landscape.